At the first Boston Marathon in 1897, 18 runners entered the race, 15 showed up at the starting line to actually run the race, and 10 finished the entire marathon. 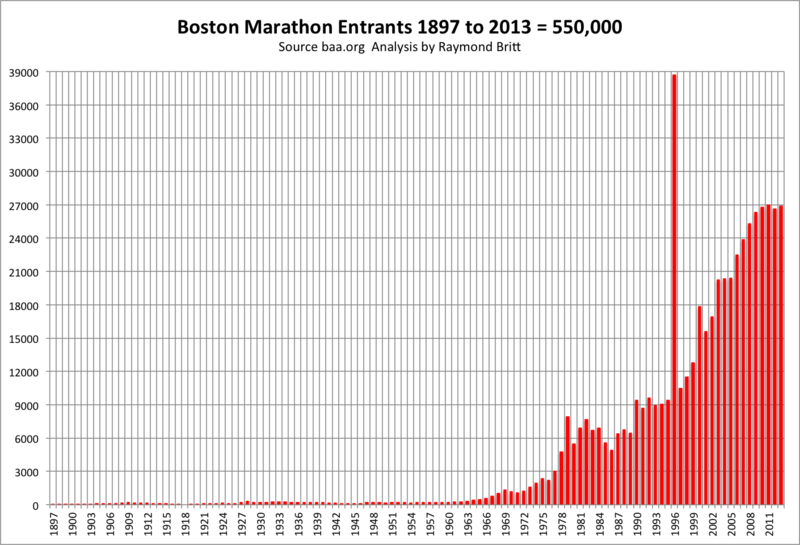 Since then, more than 550,000 athletes have been granted or earned entry into the legendary Boston Marathon. 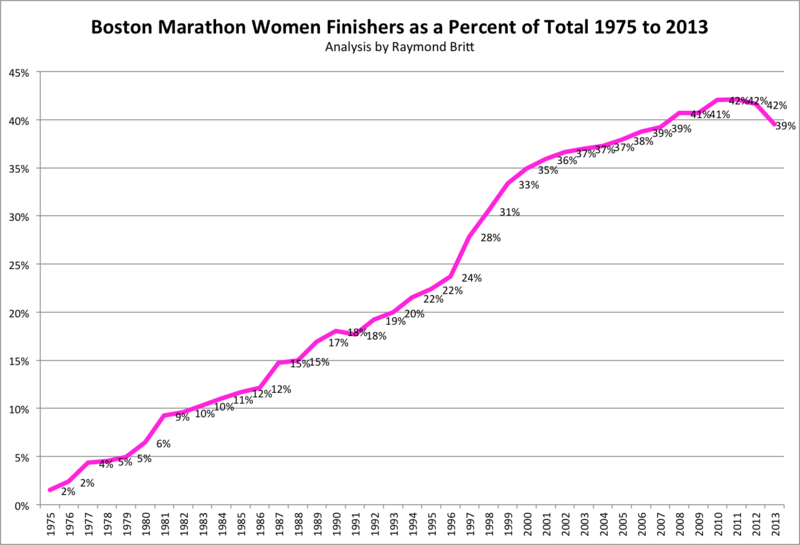 Women were granted official entry more than 40 years ago, and between 1975 (earliest official women's finisher counts) and 2013, 443,000 have finished Boston. (Personally, I've finished 13 consecutive times, and apparently only 350 or so have accomplished that feat). 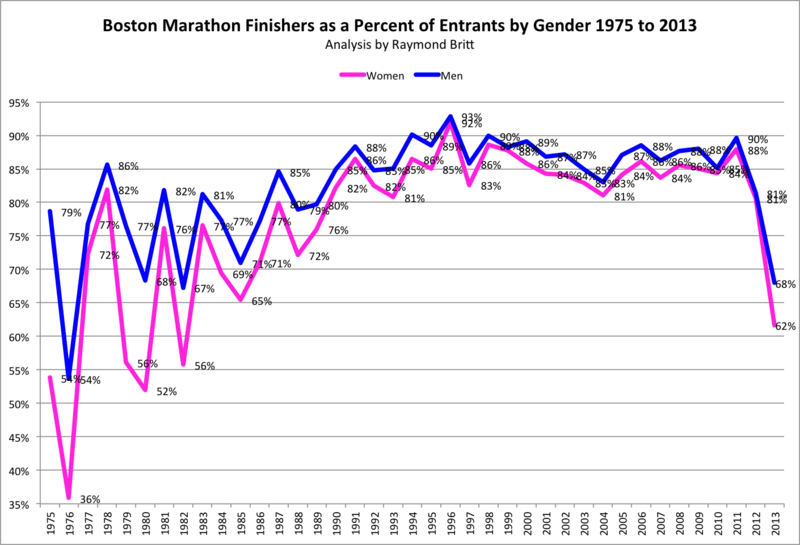 In recent years, it's been pretty simple: 22,000 qualifiers enter the race and 5,000 charity runners also participate, for a total of 27,000 entrants. 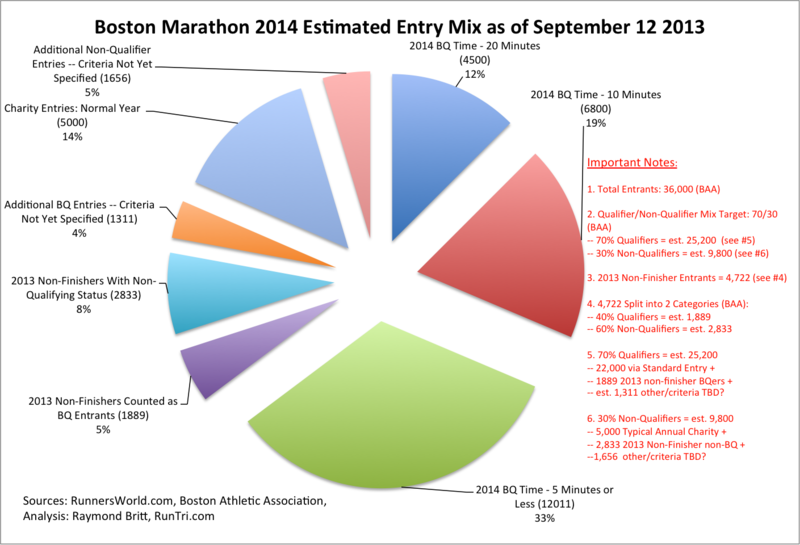 The devious and destructive terrorist bombings that suspended the 2013 Boston Marathon brought about several changes to the 2014 race entry procedure. 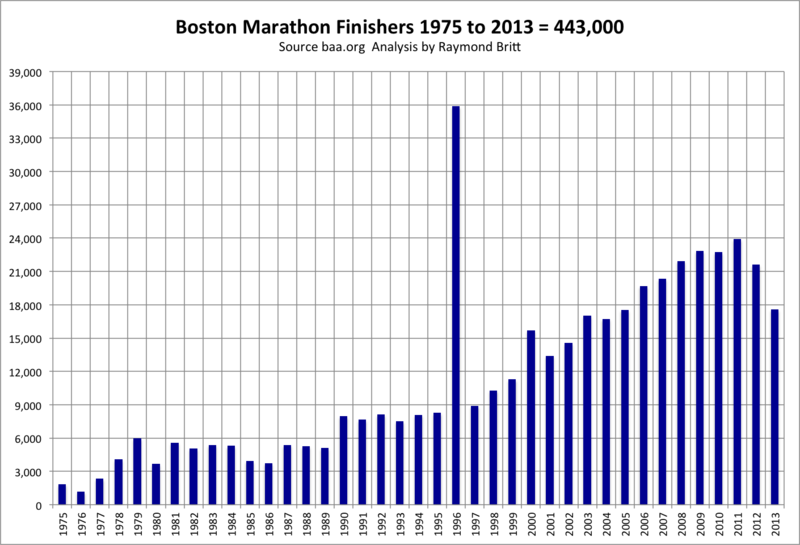 But exceptional interest and demand to enter Boston Marathon 2014 led to a fairly convoluted process to allow 36,000 entrants, possibly for this year only. 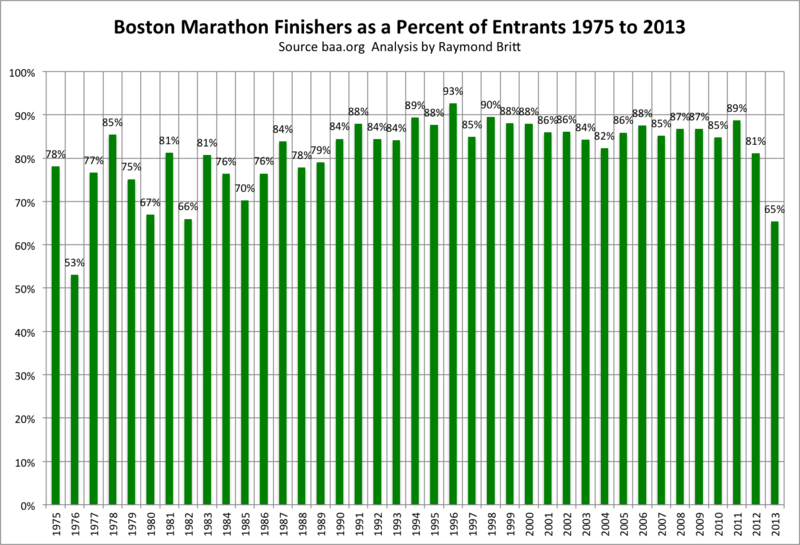 We've analyzed Boston Marathon entry and finisher data since 1897, with a particular focus on the era since the mid 1970s, and to fairly excruciating detail about the composition of Boston 2014 entrants. All are presented below. 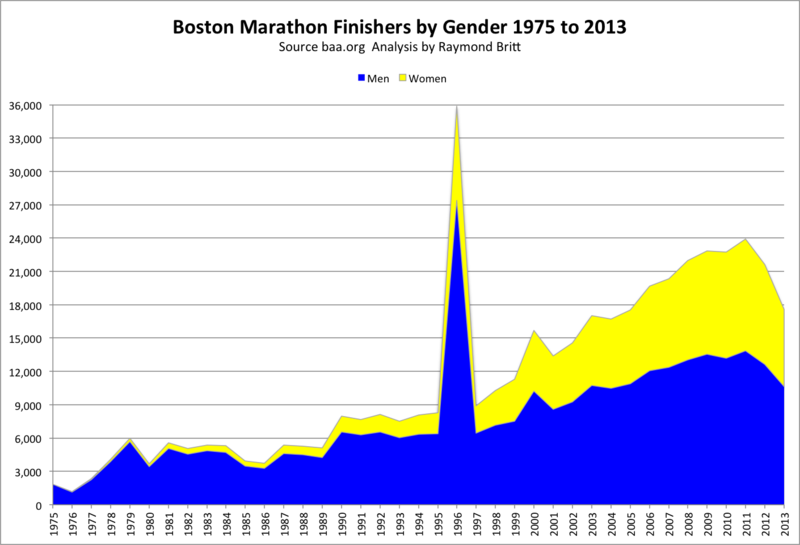 For much, much more, visit out comprehensive Boston Marathon Coverage for Advice, Details about Qualifying for Boston, Extremely detailed analysis of races since 2000, photos and more.